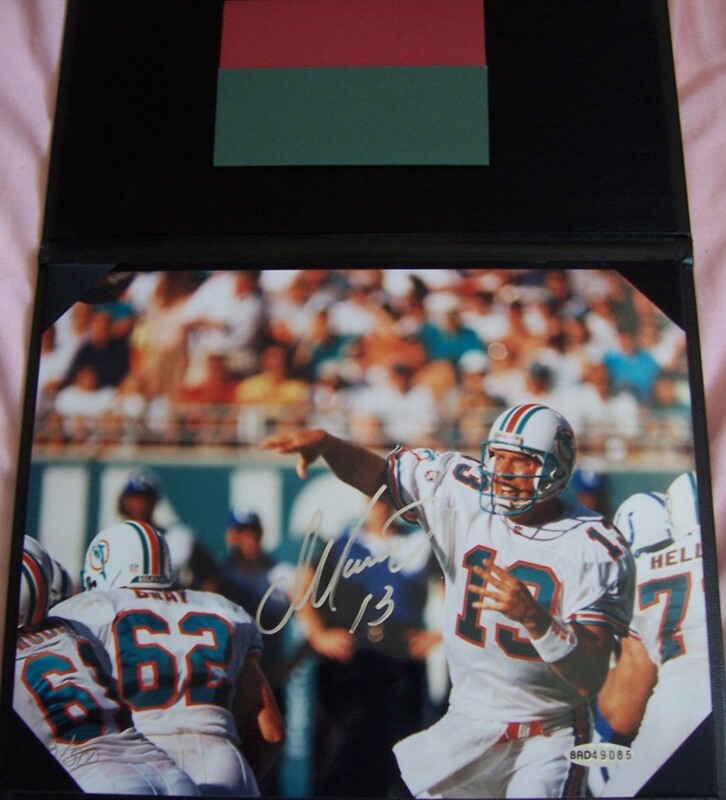 8x10 horizontal action photo of legendary Miami Dolphins quarterback Dan Marino autographed beautifully in silver paint. 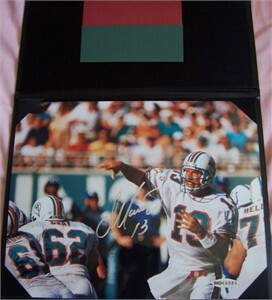 Authenticated by UDA's patented five-step process including matching numbered holograms on the photo and certificate of authenticity; with leatherette Jostens folder. ONLY ONE AVAILABLE FOR SALE.